Averting a great divergence. 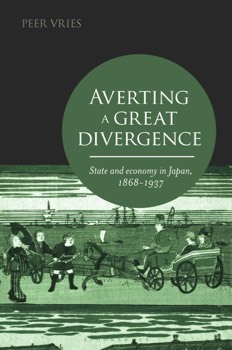 State and economy in Japan, 1868-1937. Forthcoming. 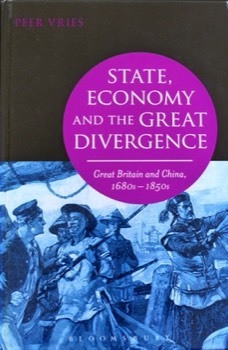 A Chinese version, with a new introduction, of State, economy and the Great Divergence. 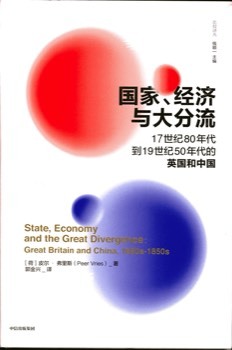 Great Britain and China 1680s to 1850s (CITIC Press Corporation, 2018) 587 pages. State, economy and the Great Divergence. Great Britain and China, 1680s - 1850s (Bloomsbury Publishing PLC, 2015) 504 pages. Escaping poverty. 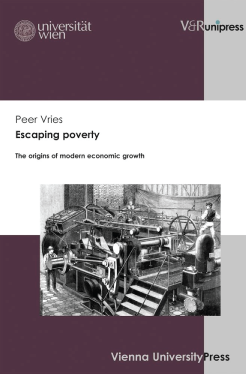 The origins of modern economic growth, (Vienna University Press and V&R unipress, Vienna and Göttingen,2013) 516 pages. Ursprünge des modernen Wirtschaftswachstums. 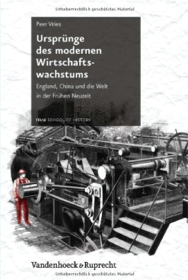 England, China und die Welt in der Frühen Neuzeit (Vandenhoeck & Ruprecht, Göttingen 2013) 541 pages. Zur politischen Ökonomie des Tees. 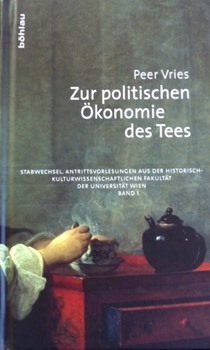 Was uns Tee über die englische und chinesische Wirtschaft der Frühen Neuzeit sagen kann (Böhlau Vienna, Cologne, Weimar, 2009) 161 pages. 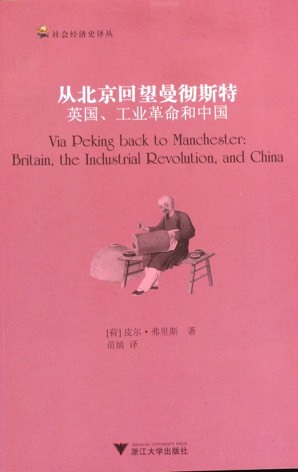 A Chinese translation, with a new Introduction of seven pages of my Via Peking back to Manchester. 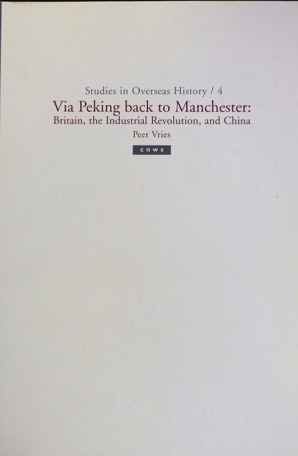 Britain, the Industrial Revolution, and China (Zhejiang University Press, 2009) 143 pages. Via Peking back to Manchester. Britain, the Industrial Revolution, and China (Leiden 2003) 109 pages, a revised, greatly extended and updated version of my inaugural lecture at Nijmegen University in 2001. Verhaal en betoog. 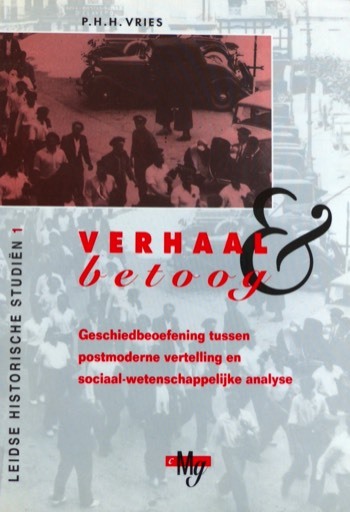 Geschiedbeoefening tussen postmoderne vertelling en sociaal-wetenschappelijke analyse (Leiden 1995). PhD Thesis, 657 pages. (Story and argument. The study of history between postmodern story-telling and social-scientific analysis). 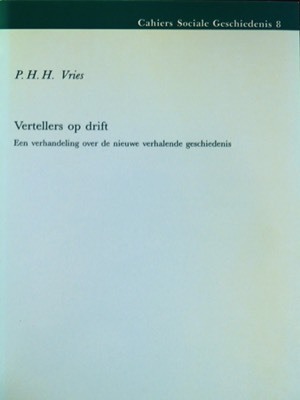 Vertellers op drift (Storytellers adrift), Cahiers Sociale Geschiedenis, 8, (Uitgeverij Verloren Hilversum, 1990) 159 pages. Global History. 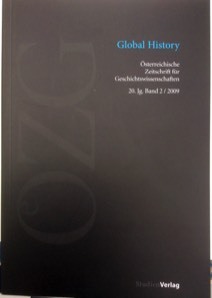 Österreichische Zeitschrift für Geschichtswissenschaften, 20, 2, 2009. The European Miracle. Itinerario. 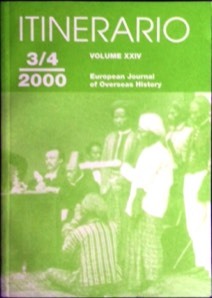 European Journal of Overseas History, 23, 3/4, 2000. Het Westen: een geval apart? 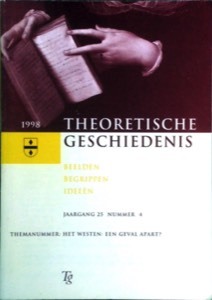 Theoretische Geschiedenis, 25, 4, 1998, together with Ed Jonker. The prospects of global history. Personal reflections of an old believer. A response to James Belich, John Darwin, Margaret Frenz, Chris Wickham, eds., 'The prospect of Global History' (Oxford University Press, Oxford 2016). Inevitable decline? A review of Bas van Bavel, 'The invisible hand. How market economies have emerged and declined since AD 500' (Oxford 2016). Cotton, capitalism and coercion. Some comments on Sven Beckert, 'Empire of cotton. A new history of global capitalism'. A review of Tonio Andrade, 'The Gunpowder Age. China, military innovation and the rise of the West in global history'. A review of Florian Shui, 'Austerität: Politik der Sparsamkeit: Die kurze Geschichte eines grossen Fehlers'. What we do and do not know about the Great Divergence at the beginning of 2016. A response to the reviews of 9 colleagues of my 'Escaping poverty. The origins of modern economic growth'. Bringing labour back in. Reflections on Catharina Lis and Hugo Soly, 'Worthy efforts: attitudes towards work and workers in preindustrial Europe' and on the origins of modern economic growth. Does wealth entirely depend on inclusive institutions and pluralist politics? A review of Daron Acemoglu and James A. Robinson, 'Why nations fail. The origins of power, prosperity and poverty'. Journal of World History 23, 1 (2012) 639-664. Challenges, (non-)responses, and politics: A review of Prasannan Parthasarathi, 'Why Europe grew rich and Asia did not: Global economic divergence, 1600-1850'. A review of Ian Morris, 'Why the West rules - for now. The patterns of history and what they reveal about the future'. Comparativ. Zeitschrift für Globalgeschichte und Vergleichende Gesellschaftsforschung. 20, 6 (2010) 20-39. The California School and beyond: how to study the Great Divergence? Is California the measure of all things global? : a rejoinder to Ricardo Duchesne. A response to Duchesne’s review of my Via Peking back to Manchester. Britain, the Industrial Revolution, and China. Read here …. Hoe Malthus, uiteindelijk, ongelijk kreeg. De Industriële Revolutie in Engeland als het doorbreken van het Malthusiaans plafond. (How Malthus, in the end, was proved wrong. The Industrial Revolution as an escape from Malthusian constraints). Are coal and colonies really crucial? Kenneth Pomeranz and the Great Divergence. Culture, clocks, and comparative costs. David Landes on the wealth of the West and the poverty of the rest. A review-article of David S. Landes, 'The wealth and poverty of nations. Why some are so rich and some so poor', (London and New York 1998). Landes reacted and I responded (pages 16- 22) in Itinerario. European Journal of Overseas History 23, 1 (1999). A review-article of Andre Gunder Frank, 'ReOrient. Global economy in the Asian Age' (Berkeley, Los Angeles and London 1998). Frank reacted and I responded (pages 16-24) in Itinerario. European Journal of Overseas History, 22, 4 (1998). A very brief history of economic globalisation since Columbus. Europe in the world 1500-2000. Philipp Rössner, ed., Economic Growth and the origins of modern political economy: economic reasons of state, 1500- 2000 (Abingdon, Oxon and New York, 2016) 204-220. Economic reasons of state in Qing China: a brief comparative overview. Catia Antunes and Karwan Fatah-Black, eds., Explorations in globalization and history (Abingdon, Oxon and New York, 2016) 155-176. States: a subject in global history. Peter Rauscher, Andrea Serles, Thomas Winkelbauer, eds., Das "Blut des Staatskörpers". Forschungen zur Finanzgeschichte der Frühen Neuzeit, Historische Zeitschrift. Beiheft 56 (Munich 2012) 209-257. Die Staatsfinanzen Chinas und Großbritanniens im langen 18. Jahrhundert. Ein Vergleich. Europe and the rest: Braudel on capitalism. Qing China and Great Britain. Un monde de ressemblances surprenantes? The Oxford History of Historical Writing. Volume V (Oxford 2011) 113-136. This is an adapted version of my ‘Global economic history: a survey’, Österreichische Zeitschrift für Geschichtswissenschaften / Austrian Journal of History 20, 2 (2009) 133-170. Markus Cerman a.o. eds., Wirtschaft und Gesellschaft. Europa 1000-2000 (Innsbruck, Wien, Bozen 2011) 76-103. Markus Cerman a.o. eds., Wirtschaft und Gesellschaft. Europa 1000-2000 (Innsbruck, Wien, Bozen 2011) 411-438. Europa und die Welt, 1000-2000. (Amsterdam 2001; first edition Amsterdam 1991) pages 181-222, 223- 239 and 301-341. The book has gone through three editions. I wrote chapters on the Annales, on historical sociology and on ‘the return of the narrative’. Various authors, Van agrarische samenleving naar verzorgingsstaat. De modernisering van West Europa. (Groningen 2000; first edition Groningen 1987). From agrarian society to welfare state. The modernization of Western Europe. The book has gone through three editions and big changes and has been translated in Hungarian and Russian. Three chapters on the economy of early modern Western Europe pages 51-134. I would be flattered to think that anyone saw me as globally broad-minded. An interview with Felipe Fernández-Armesto. Late medieval and early modern towns as focal points of market power. An interview with Stephan Epstein, together with Peter Hoppenbrouwers. Cities as centers of creative activity. An interview with Jan de Vries, together with Peter Hoppenbrouwers. The study of contrasts across Europe. An interview with Patrick O’Brien. I think knowledge-systems are very important. An interview with Jack Goody, together with Peter Hoppenbrouwers. In some ways this is a very Victorian enterprise. An interview with Michael Mann, together with Wim Blockmans. The shape of Europe by about 1300 is very much the foundation of what we have now. An interview with Robert Bartlett, together with Peter Hoppenbrouwers. I would not describe myself as an economic historian. An interview with Jonathan Israel, together with Birgit van den Hoven. I proudly call myself a car-carrying economic historian. An interview with Jan de Vries, together with Herman Roozenbeek. As a matter of fact there are very few nation-states. 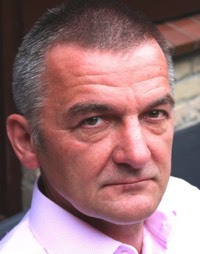 An interview with Charles Tilly together with Birgit van den Hoven. The future belongs to bigger entities. An interview with Eric Hobsbawm, together with Marjolein van Rotterdam. Fascism's strength was its democratie strength. An interview with George Mosse, together with Chris Quispel. We are heading for a more global history. An interview with Peter Burke, together with Wilma Goossen. Historians don't have any ideas of their own. An interview with Keith Thomas. An interview with Rudolf de Jong, together with Marjolein van Bellen.